Suncoast Sports Festival Taking Place This Weekend! 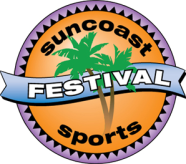 Sports Fans, just a reminder that the 5th Annual Suncoast Sports Festival (SSF) will be held January 28-29 at the Florida State Fairgrounds and surrounding venues. The SSF is a sports invitational comprised of Boys Gymnastics, Girls Gymnastics, Rhythmic Gymnastics, Cheerleading, Dance, Karate, Trampoline & Tumbling, Baseball and Basketball. Each of these events will be held at the Florida State Fairgrounds over the two days, with the exception of basketball—to be held at the University of South Florida Recreational Center—and baseball—to be held at Plant City’s Mike Sansone Park.